SOURIAU - SUNBANK Connection Technologies provides circular backshells with various platings and materials; aerospace grade plating - including nickel, cadmium and zinc nickel - are available and qualified according to the applicable standards. 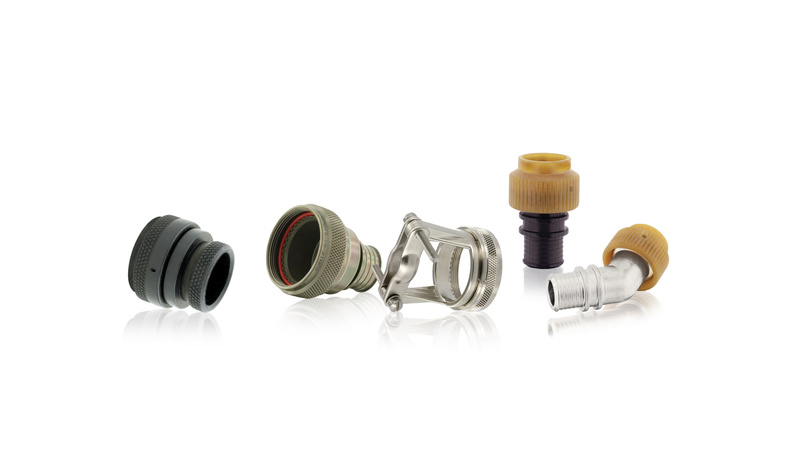 Compatible with the main circular connector standards, circular backshells can be ordered with various connection interfaces. American and European standards are met, including D38999, M26482, EN2997, EN3645, M5015, etc.